Earlier today, the Ultima Forever website officially launched and smack dab in the center was a big mention of Ultima Online. Stretching across dozens of games and three decades’ time, millions of people from all over the world have set out on great adventures in the world of Ultima. They have braved perilous dungeons, faced off against fearsome enemies, conquered lands and saved worlds. 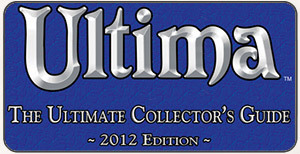 Today we have launched a website dedicated to that heritage – ultimaforever.com! 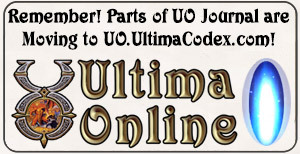 Over the coming months, ultimaforever.com will be expanding, looking back at over 30 years. For a start, we are pleased to officially offer the full, original PC version of Ultima IV for download. What is not officially mentioned is that another big story came out today, namely Good Old Games is offering Ultima titles. GOG.com has what is their biggest announcement to date, an agreement with Electronic Arts that includes two Ultima titles as a part of the first batch of old DOS-based games that are being made available, and Ultima Forever just happens to launch at the same time. They launched within an hour of each other. It’s not a coincidence, as you can guess from the timing and from statements made on the Ultima Forever twitter account.